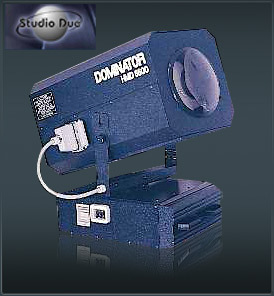 Most powerful version of the Spaceflower 3000W, the Studio Due Dominator HMD 6600 becomes in absolute the most powerful unit among the outside multirays effects. Its exceptional power make it visibile to longer distances also under unfavourable atmospheric conditions (like dry and clean air). Effect and functions are the same of the Spaceflower 3000W but without the shutter. Available also with DMX board.